Selected from Albert Sack's extensive archives of the finest American antiques in the world, the Albert Sofa (4603-89) and companion Albert Chair (4603-24) pay tribute to the late Mr. Sack's expert eye for classic forms that are as relevant today as they were when they originated. 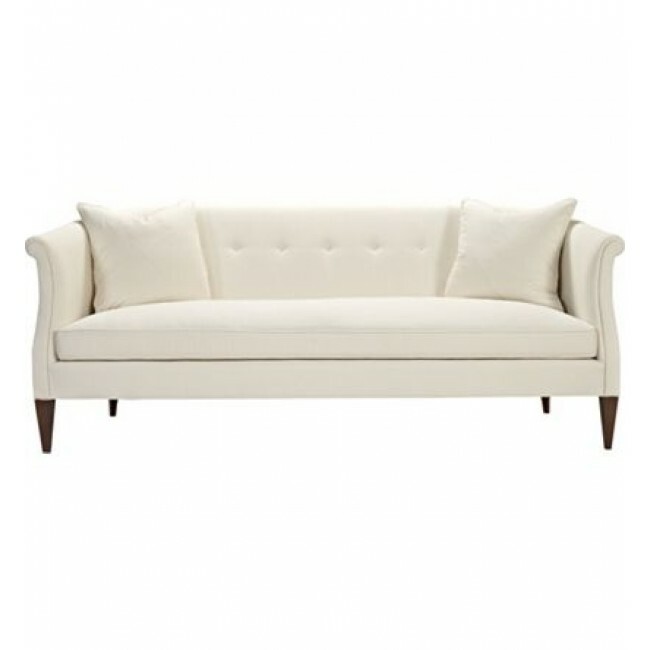 Adapted from an American Federal period (1785-1820) sofa with a tight seat, gracefully curved top rail, and slender tapered posts with intricate Bellflower inlay, this modern interpretation features a single row of buttons across the length of the tight back, slightly stepped back and gently flared rolled arms and clean tapered posts. The sofa is standard with Two 24-inch 100% goose feather throw pillows standard in fabric and 1-piece Spring-Down seat cushion and button back. 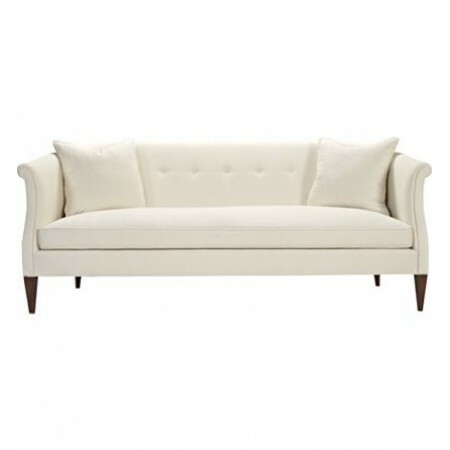 The Albert Chair features most of the same attributes as the Albert Sofa but with a slightly shorter barrel-shaped back. Shown in standard Espresso finish.